Duration: Biennial, though it may behave as an annual under certain conditions. Origin: native to midwestern- and southeastern U.S.
Foliage: Tall, simple stemmed, leaves crowded and heavily dissected. 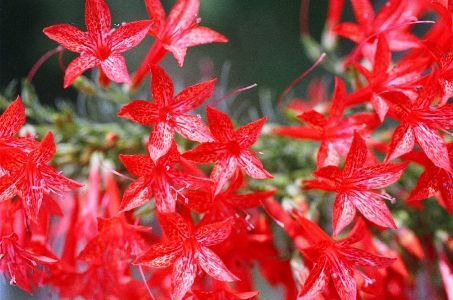 Flower: 2.5 - 3.5 cm, red, a spike of lipped tubular flowers, Corolla slenderly funnelform. Range in New Jersey: Unusual find in NJ; found within Manumuskin watershed. Misc. 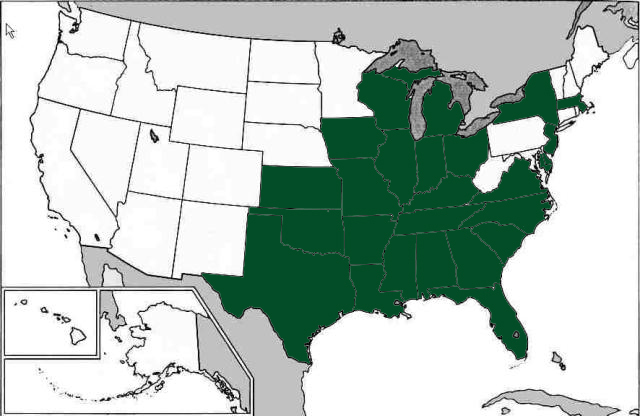 I. rubra is generally found in the southeastern United States. The Manumuskin population is believed to have been brought in accidentally via rail. The flowers of I. rubra attract humming birds.